Experience the wonder of snow-covered trails on the grounds of the majestic Omni Mount Washington Resort. With little to no learning curve, snowshoeing can be enjoyed by people of all ages and fitness levels. From an easy stroll to a backcountry hike, this sport offers a great way to stay fit and enjoy the great outdoors. Follow groomed Nordic trails or make your own path through deep untouched snow, take in stunning Presidential Range vistas, explore the trails that meander along the Ammonoosuc River, or trek over the high-country snowshoe trails along the ridgeline of the Bretton Woods Mountain Resort. The Bretton Woods Nordic Center invites snow shoe enthusiasts to enjoy one of our special guided tours throughout the winter season. These tours are by reservation only, please contact the Nordic Center at 603-278-3322 to make your reservation. Explore a nearby mountain and experience the wonders of the winter forest. This is a great way to get some exercise, get off the beaten path, and discover the wonders of winter. We'll pick a nearby hike based on conditions and group ability. You'll learn about winter backcountry safety and equipment and enjoy stunning mountain scenery. These tours last all-day so participants should be in good physical condition and health. Guided Snowshoe Expeditions are scheduled privately by advance reservation only. To reserve a session, please contact Steve Nichipor at 603-278-3335. Snowshoe rentals are available at the Alpine Rental Shop and the Bretton Woods Nordic Center, or bring your own, and come explore the 100-km trail network and enjoy the area's natural beauty. Please call the Nordic Center for more information at 603-278-3322. Nordic trail passes are required for snowshoeing the 100-km Valley Trail System. Trail passes can be purchased at the Bretton Woods Nordic Center, the gateway to this expansive network at Mount Washington Resort. Guests who purchase a trail pass and would like to experience the Mountain Road or lift-served terrain, can purchase an additional pass for a ride up and down the Bethlehem Express Quad. This ticket will extend your snowshoeing experience to Bretton Woods Ski Area, giving you access to the Mountain Road and high-country trails. 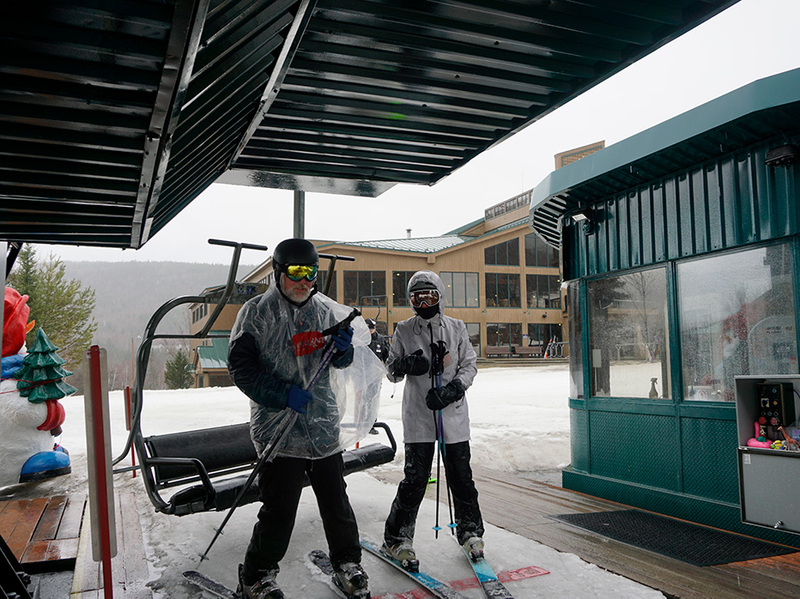 High-country trail passes can be purchased the Bretton Woods Base Lodge or at the Bretton Woods Nordic Center. These passes allow snowshoers to explore lift-served terrain. If you already have a Valley Trail Pass you may purchase a Mountain Road ticket for an additional $10 per person. For guests coming to explore our high-country snowshoeing and Nordic trails we offer the High-Country Ticket . All outdoor programs and activity schedules are subject to the current weather conditions. Please call the Activities Concierge at (603) 278-8989 for the latest information.